The Audi A7 can only be described as super sleek and super mean. So naturally we got super excited when James the owner came to us to fit rims on this baby. The 2014 Audi A7 seats five and has standard all-wheel drive. A supercharged 3.0-liter engine and an eight-speed automatic transmission are standard. So James didn’t want any standard rims. He wanted ones that would enhance the visual aesthetics of his car and turn heads along the way. We immediately chose the 20 inch BD-4 in silver. These wheels not only enhance the functionality of the A7 but also the performance. “I’ve owned a few Audi’s and bought the A7 because of the design and look of the car. 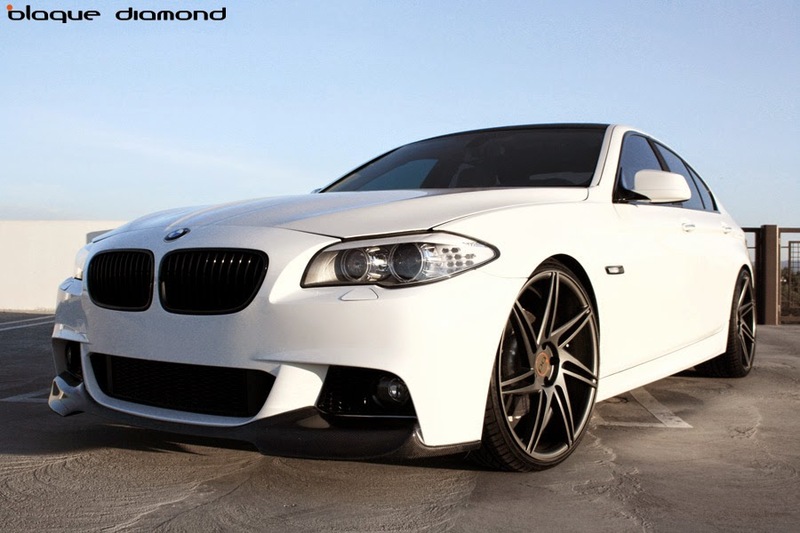 The rims that Blaque Diamond suggested made this car complete. Now my car has driving appeal as well as curbside appeal. The aesthetic application of the BD-4 wheels is undeniable.’ says James. Need a new set of rims for your car? 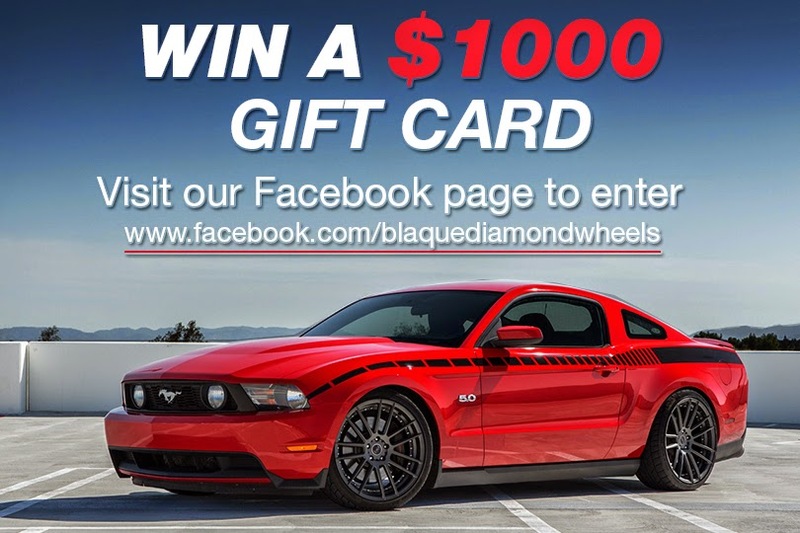 Blaque Diamond Wheels is giving one lucky person the chance to WIN a $1000 gift card to spend on any of our products. Head to our facebook page to enter the sweepstakes. LIKE our page and enter your details. It's that simple. There is no purchase necessary and the more you share it the more entries you get. The competition is open to residents worldwide. This BMW 328i belongs to our forum administrator, David, who is one of the biggest BMW fans you will ever meet. Having had 3 e46 M3s and 2 e90 sedans, his 328i is merely a get-around-town daily driver. When it comes to cars, his philosophy is to keep things simple with subtle changes: a conservative drop to hide the wheel gap and some tint. He did add a set of silver w/polished face 20" BD-6 wheels, measuring 8.5" wide up front and 10" wide in the rear. I don't think this car will stay around for long in David's stable as he's changed 15 cars over the last 5 years. Can you say car-nutt?